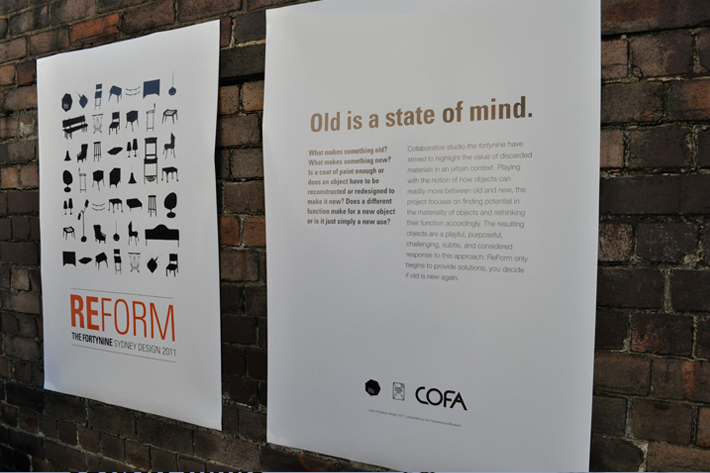 ReForm is the first collaborative exhibition project designed and presented by The Fortynine Studio. 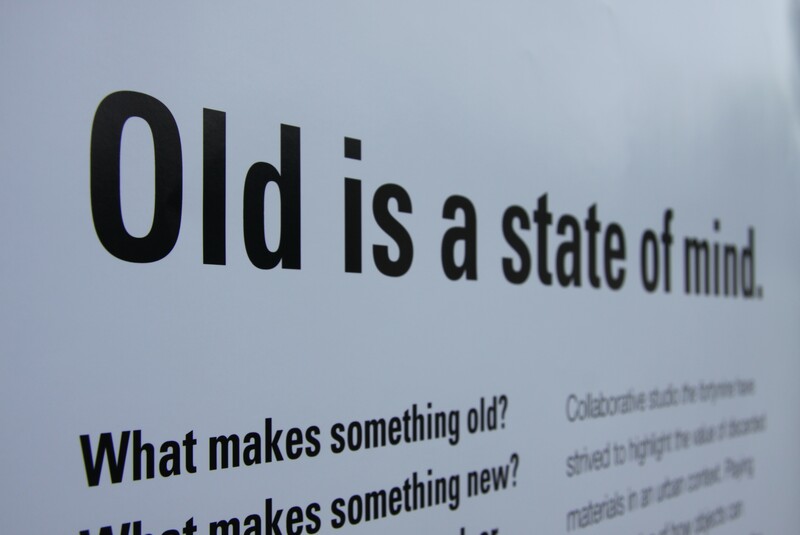 Part of the official program for Sydney Design 2011, ReForm emerged from the theme ‘is old new again?’, and aimed to revalue discarded materials, questioning why we consider things old or unusable. 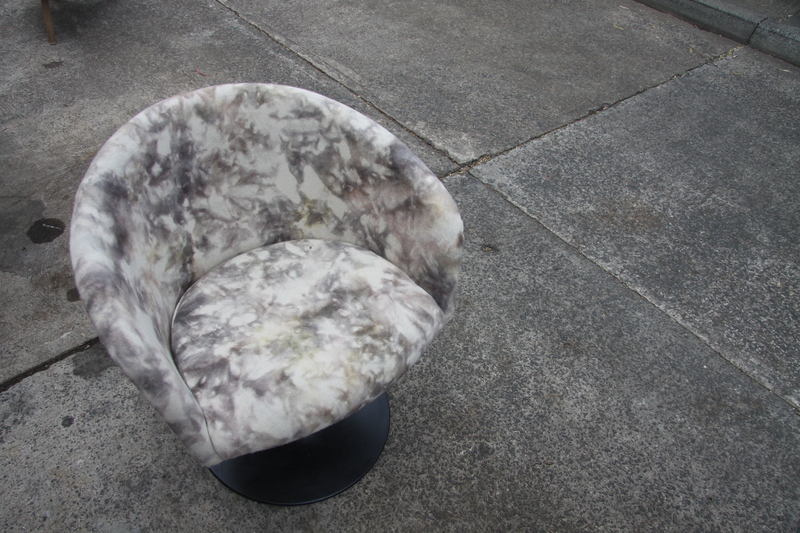 The project began by collecting materials and objects from Sydney’s council clean-ups, streets and laneways. Redesigning, reworking and refinishing materials, a range of furniture, lighting and homewares were designed for exhibition and sale. As part of the project, a brief was sent out to other designers, asking them to contribute works and collaborate with The Fortynine Studio on the project. Works by seven designers were exhibited alongside those of members of The Fortynine Studio. 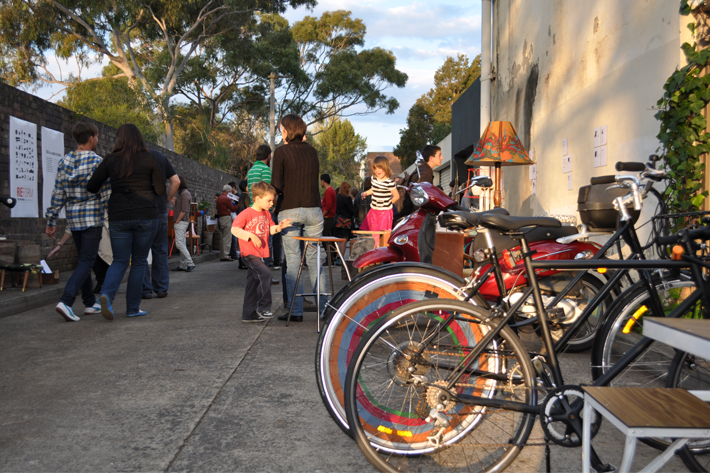 ReForm was held in Tosh Lane, Zetland, The Fortynine Studio curating the works back into the laneway environment, reiterating their comparative new value. ReForm was featured by Powerhouse Museum Citywide Producer Debbie Pryor as a highlight of the Sydney Design 2011 program. 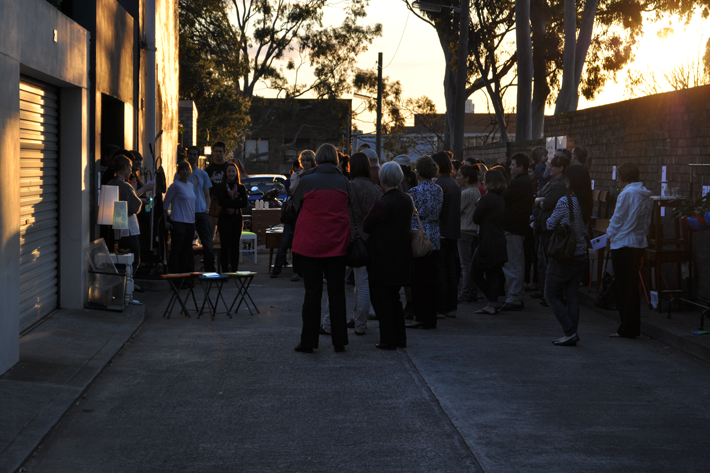 Following the exhibition for Sydney Design week the project was subsequently exhibited at Gaffa gallery, Sydney.